Warren Buffett is arguably the greatest investor of all time. Over his career, Buffett’s investing prowess formed one of the greatest conglomerates of all time and generated a lot of value for investors. Meanwhile, company insiders generally have a better understanding of a company than most investors. 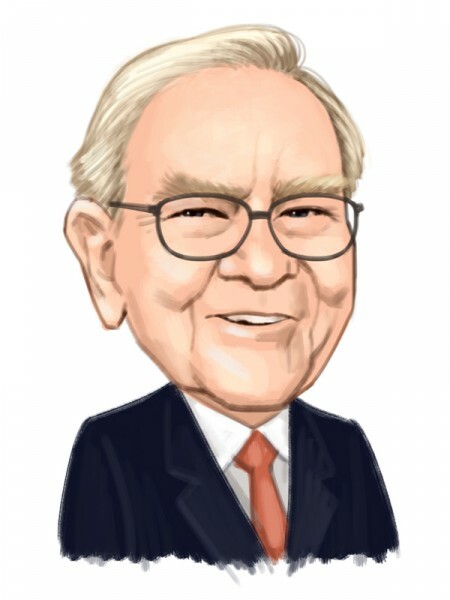 In this article, examine four stocks that Buffett’s Berkshire Hathaway held in the second quarter and that company insiders have bought over the past six months, including Moody’s Corporation (NYSE:MCO), American Airlines Group Inc (NASDAQ:AAL), Mastercard Inc (NYSE:MA) and Synchrony Financial (NYSE:SYF). Although assigning credit ratings isn’t a particularly exciting task, the field is defensible and wide moat, making it a typical Warren Buffett stock — at the end of the second quarter, Buffett’s Berkshire Hathaway owned over $4.2 billion worth of Moody’s, good for 2.2% of Berkshire’s equity portfolio. Buffett isn’t alone in liking Moody’s. In early August, former executive VP and CFO Linda Huber bought 915 shares at a cost of $172.31 per share for a total value o f$157,667. Although shares of Moody’s have retreated along with the broader market over the past quarter, Moody’s Corporation (NYSE:MCO)’s year to date performance is still up 1.6%. Joseph Foresi of Cantor Fitzgerald has a $145 price target and ‘Neutral’ rating, citing the volatile issuance market. Although airlines may not sound like a Buffett play — many have gone bankrupt due to the after-effects of 9/11 — Buffett is a fan. At the end of the second quarter, Buffett’s Berkshire Hathaway owned almost $1.7 billion worth of American Airlines, good for 0.9% of his portfolio. Although shares of the stock are down almost 30% year to date, Director John Cahill also showed some bullishness, buying 25,000 shares at an average cost of $33.47 per share near the end of October. Count Catherine O’Brien of Goldman Sachs as a bull too. She has a ‘Buy’ rating and a $44 target, citing ‘idiosyncratic opportunities’ for American Airlines Group Inc (NASDAQ:AAL) in terms of earnings. Although cryptocurrencies may capture headlines, payment network Mastercard Inc (NYSE:MA) has dependably delivered in terms of financial performance. Shares of the stock have risen 31% year to date, easily outpacing the S&P 500’s performance. With a very wide moat, high margins, and good management, Mastercard is another typical ‘Buffett’ stock. Berkshire Hathaway owned almost $1 billion worth at the end of June, good for 0.5% of the equity portfolio. Director Richard Davis is also one of the bulls, buying 2,475 shares at a cost of $196.37 on November 2. Buffett’s Berkshire Hathaway owned almost $700 million worth of Synchrony Financial (NYSE:SYF), an issuer of store credit cards, at the end of Q2, good for 0.4% of the equity portfolio. Although shares have taken a hit due to the ending of the Walmart cobranding partnership, three directors bought 5000 or 10000 shares in the company at around $29.50 a piece at the end of July. For its third quarter, SYF reported EPS of $0.91, beating the consensus of $0.80 per share. Return on equity came in at 18.5% while net interest margin clocked in at 16.41%.